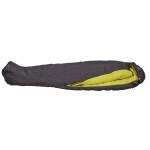 The Vaude Serniga 500 Down Sleeping Bag is a highly technical 4 season sleeping bag for the most extreme expeditions. Filled with 90/10 white goose down and designed in a mummy shape for maximum insulation, this is a seriously warm sleeping bag. The classic mummy shape also cuts out unnecessary material, reducing pack size, weight and bulk. Keeping your head warm is an essential element in maintaining body heat. The Serniga 500 features a highly insulating, snug-fitting hood for this very reason. Vaude have also incorporated a drawcord to reduce the hood opening down to a small air hole and an extreme thermal collar to keep out the draughts. These are all fantastic features ensuring a warm, restful night. 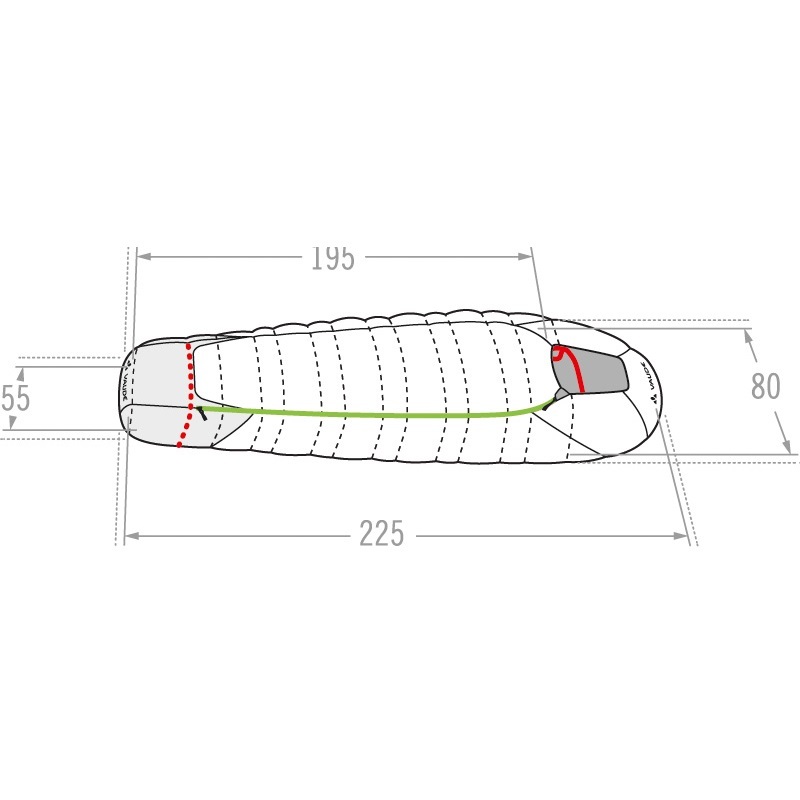 At the other end of the sleeping bag, Vaude have added an innovative 'foot box'. A drawcord separates off the final section of the bag, reducing the length to suit shorter campers and cutting down the internal volume. This foot box space is also a great place to keep clothes and shoes warm and dry overnight (there's nothing worse than putting on frozen socks in the morning!). Another brilliant use for the foot box is as a stuff sack for the rest of the bag - eliminating the need to carry a separate stuff sack. 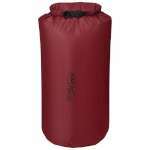 Vaude are experienced in the outdoors and have taken all the elements into account for the Serniga 500. 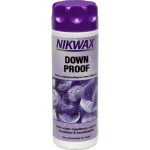 As down's insulating properties are reduced if it gets wet, the designers have added a water repellent coating to the sleeping bag's outer material. One step further, Vaude have made the vulnerable head and foot ends waterproof - no more worrying about touching up against condensation-damp tent walls. Finally, the small zipped inner pocket is a nice extra touch, making an ideal pocket for your MP3 player, phone or other small essentials. If you like to listen to music as you nod off, or want to keep anything close to hand, this little pocket is perfect. Vaude is a German, family-run company who love the outdoors. They design and make truly innovative kit that takes into account the demands of extreme nature as well as running their business ethically and with an environmental conscience.